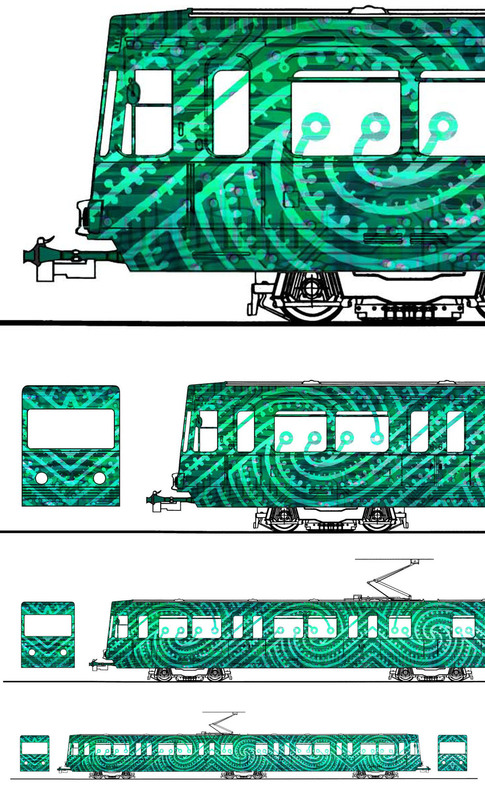 Dusseldorf Tramline – Entry for international tram design award. Designers were asked to reflect an aspect of their national culture. 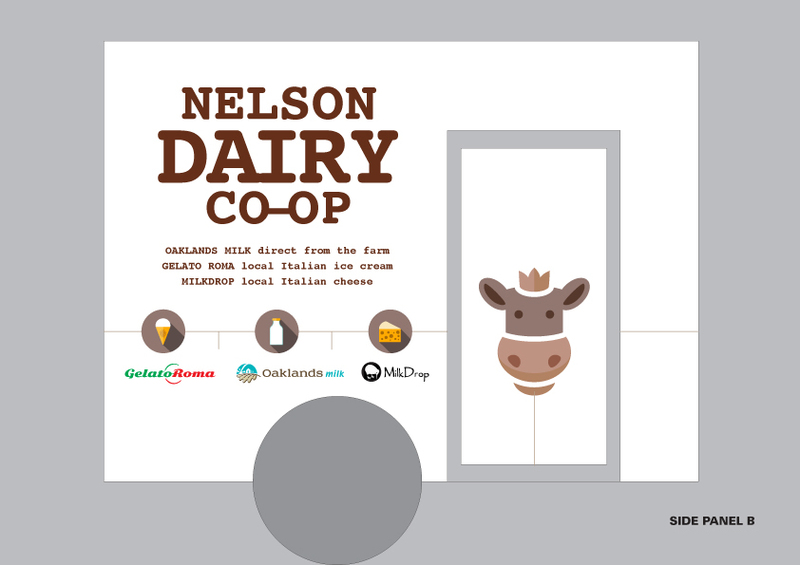 Gelato Roma – POS Freezer branding. 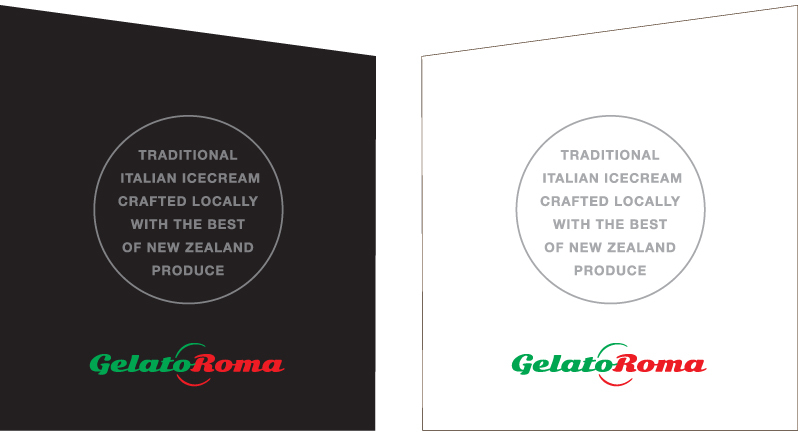 Gelato Roma – Street sign (white). 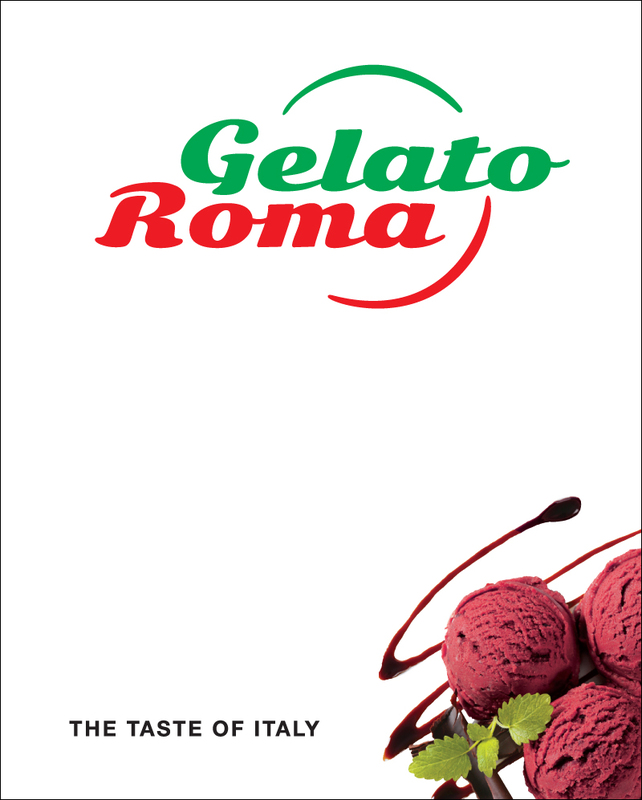 Gelato Roma – Street sign (black). 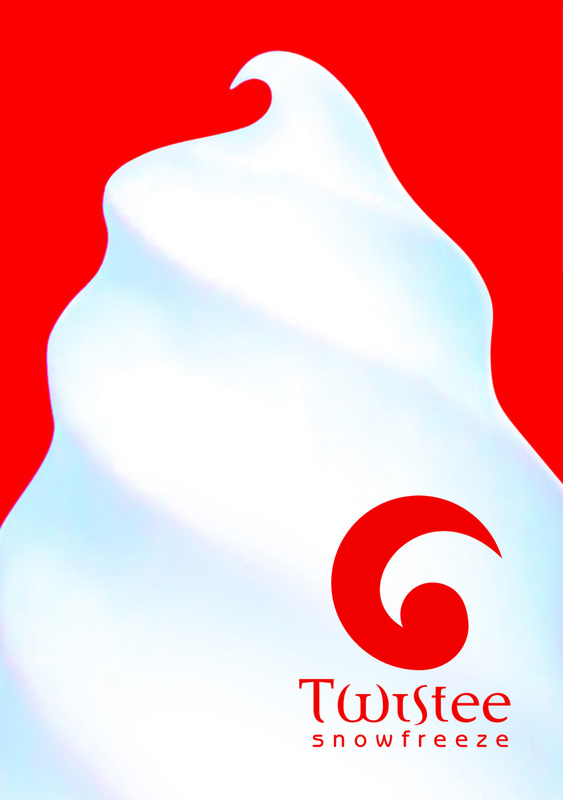 Gelato Roma – Street flag design. 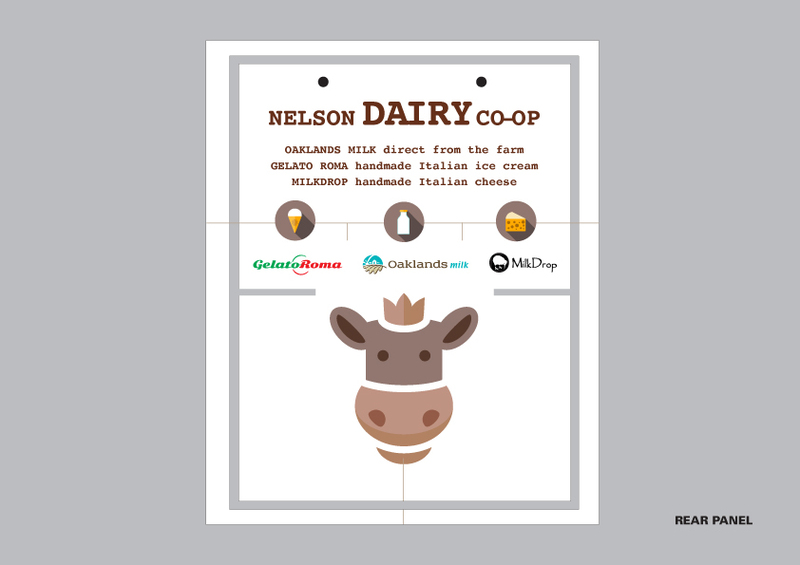 Nelson Dairy Co-Op trailer branding – Oaklands (milk), Gelato Roma (ice cream) and Milkdrop (cheese). Selling product and building awareness at local outdoor markets. 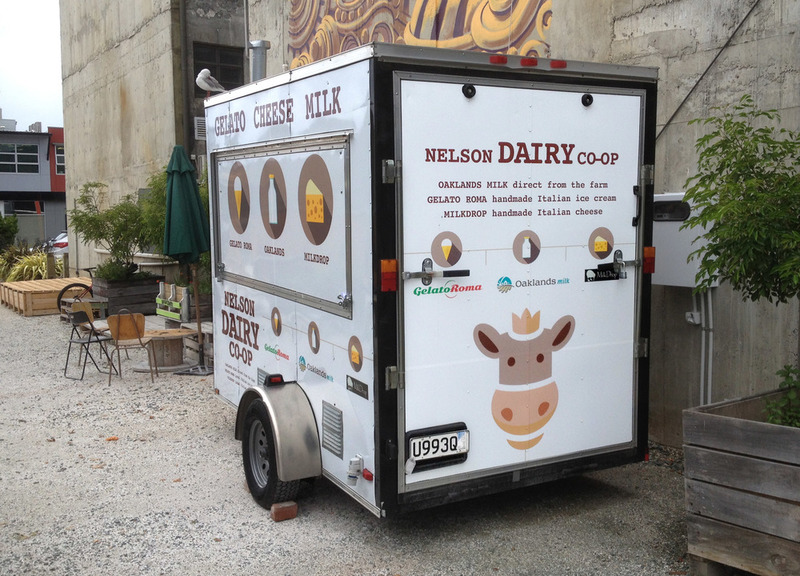 Nelson Dairy Co-Op trailer branding (in situation). Eagle Boys Pizza – Metrolite poster (1 of 2). Eagle Boys Pizza – Metrolite poster (2 of 2). Dominion Breweries – Billboard sponsoring Canterbury rugby. 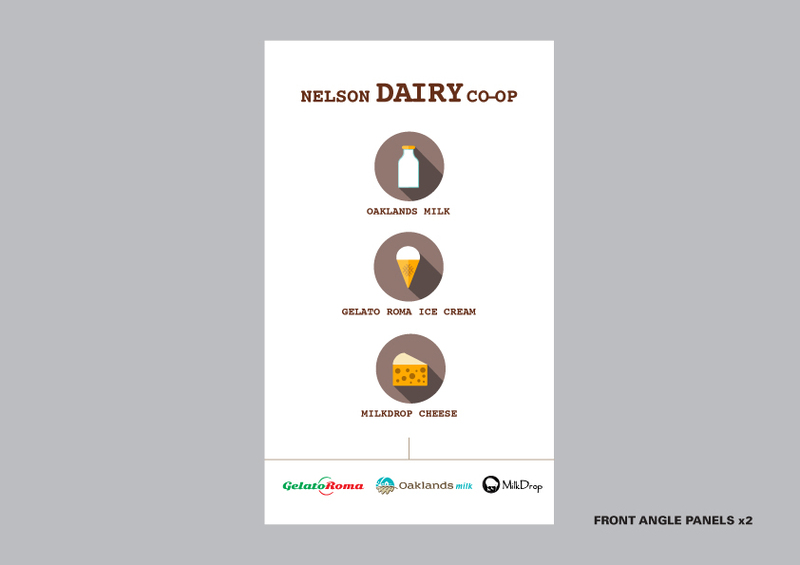 Powerstore – Logo and signage design for store entrance. 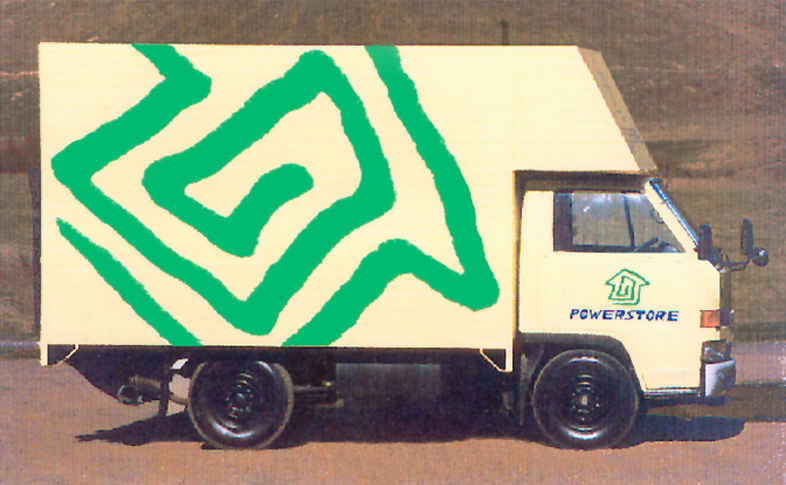 Powerstore – Logo design for vehicle graphics. Southpower Max – Appliance retailer – Street posters were hand-drawn (with giant magic markers) on A1 size packing cardboard. 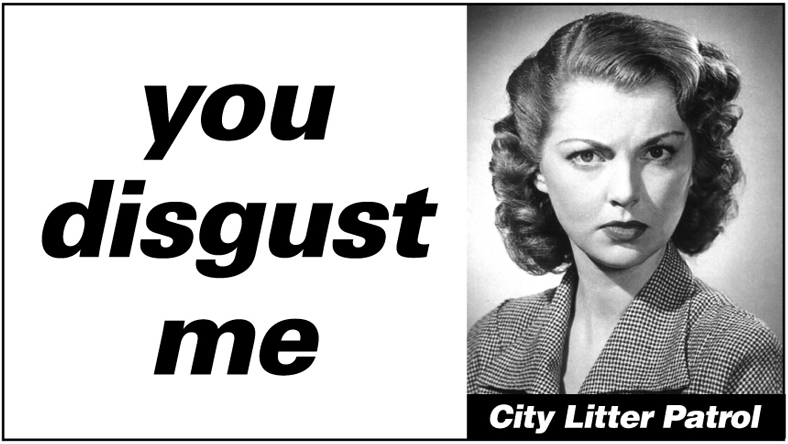 These were posted around the city on power poles and near busy intersections (Friday – Sunday). Sales figures tripled those of previous weekend promotions. Christchurch City Council – Anti-Litter campaign aimed at adolescent offenders. Rubbish truck graphics 1 of 7. "You disgust me" (version 1). Christchurch City Council – Anti-Litter campaign aimed at adolescent offenders. Rubbish truck graphics 2 of 7. "You disgust me" (version 2). Christchurch City Council – Anti-Litter campaign aimed at adolescent offenders. Rubbish truck graphics 3 of 7. "You know who you are". Christchurch City Council – Anti-Litter campaign aimed at adolescent offenders. Rubbish truck graphics 4 of 7. 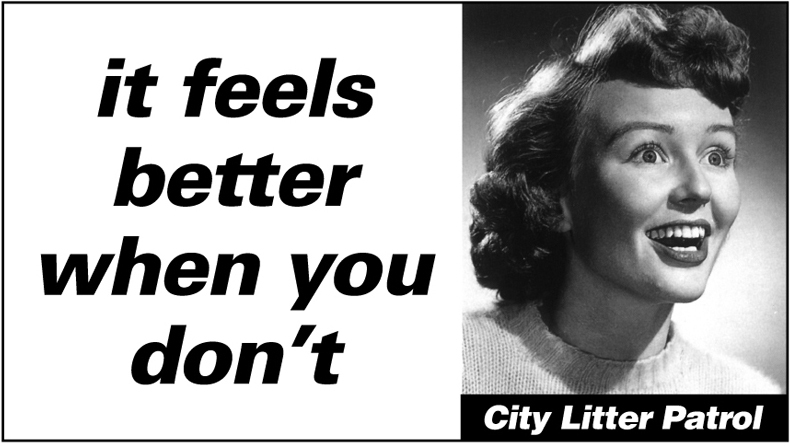 "It feels better when you don't". Christchurch City Council – Anti-Litter campaign aimed at adolescent offenders. Rubbish truck graphics 5 of 7. "Anti litter slogan here". Christchurch City Council – Anti-Litter campaign aimed at adolescent offenders. Rubbish truck graphics 6 of 7. "Anti-litter slogan"
Christchurch City Council – Anti-Litter campaign aimed at adolescent offenders. Rubbish truck graphics 7 of 7. "You think we like picking up after you?"